pre order links are up via amazon thanks gos to WTK! Reed just spotted the RS placeholder. I know it might be to early to ask this since the first set is still a month away, but do we know the schedule for sets 2-4? 3 months apart? 4 months apart? First set delayed 'til January. My copy finally shipped. I expect it will get here either later this week or sometime next week. is Reed going to be posting a topic up in the feedback section ? You could make one if you like... GATSU sometimes posts it as well. It arrived today. When I am home for the day I am gonna check out the Liner notes and commentaries. I've watched a half dozen or so episodes (mostly ones with commentaries playing) and combed through the notes. The video quality here is a big upgrade from the Pioneer/Geneon releases. For someone like me who has all of those, this was still worth buying for the improved video quality. 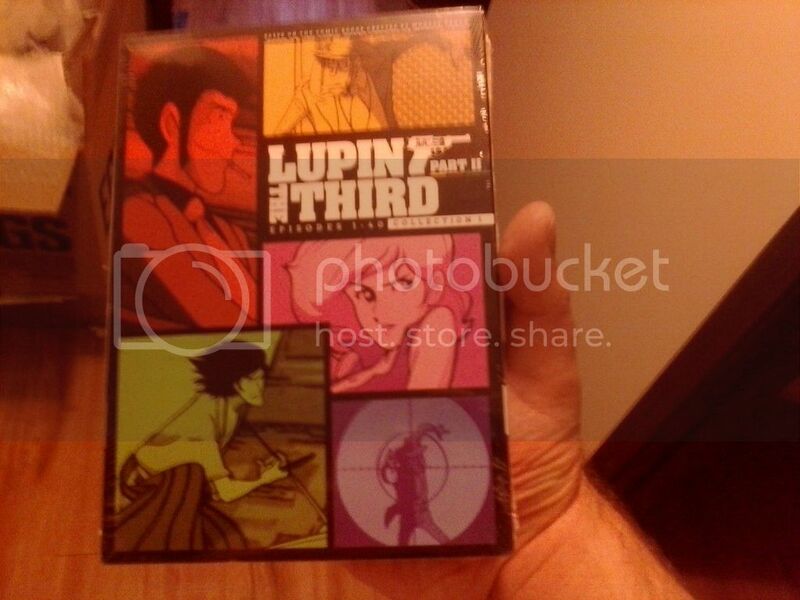 The commentary tracks are informative, but perhaps not as engaging as some of the commentaries on other Lupin releases. My set just showed up today - havent had a chance yet to spin up any of the episodes, but at the very least I'm in love with the footprint savings on my anime shelf from pulling off the eight Pioneer/Geneon discs. Look at all that room for new anime! Discoteck is truely doing the lord's work! I finished watching the set and greatly enjoyed every minute of it. It's fun to watch a bunch of episodes right after each other and see different animators' touch in how the characters look and move, and also how all over the place the writing can be. Fujiko and Zenigata sometimes take a complete 180 degree turn in personality between episodes. But I guess that's part of the fun of this franchise. There hasn't been any word regarding when the next set is coming out, right? If you're short on funds to even watch the show on Crunchyroll, then TMS is streaming the first dubbed episode here. Tentative cover for the second set here. Preview of an Epcar interview for the second set here. Volume 2 will go up to episode 79, it appears, which was the final episode Geneon released. Not holding my breath by any means, but I still have a little pipe dream that DiscoTek might dub the remaining episodes with the original Part II/current Part IV cast. It seems highly unlikely, but stranger things have happened! With how TMS is pushing lupin in the states right now I wouldn't be surprised at all.